Dirt Buzz — Read the September Issue of "On the Pegs"
The September issue of On The Pegs is live and ready to view! This month features include an in-depth look at the Arizona round of the TrialGP series. 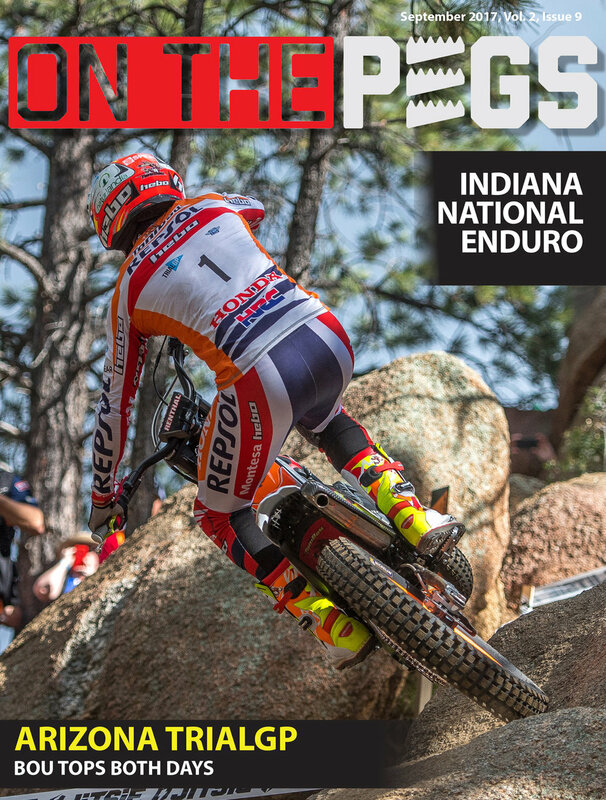 There is also coverage of the Muddubbers National Enduro in Indiana, the Tennessee Knockout at the Trials Training Center, and the LLR Sprint Enduro in Pennsylvania. CLICK ABOVE TO READ THE ISSUE.